To help ensure kids can still be kids, and enjoy the magic of the season even in the midst of illness, Duracell will be donating a year’s supply of batteries to hospitals across Canada. These batteries will be used to power the thousands of playroom toys and games that children and their families will be playing with this holiday season and beyond. In addition, for e very pack of Duracell Quantum and CopperTop batteries that Canadians purchase at Walmart from December 1st to December 31st, 2014, Duracell will donate 20 cents to Children’s Miracle Network, with the goal to raise $150,000. To learn more about the campaign follow @Duracell on Twitter. We all know there’s nothing more disappointing than a child receiving a toy on Christmas morning to find that it’s powerless. With your purchase, not only will you be powering your family’s holiday joy, you’ll also help make a child’s hospital stay a little brighter. 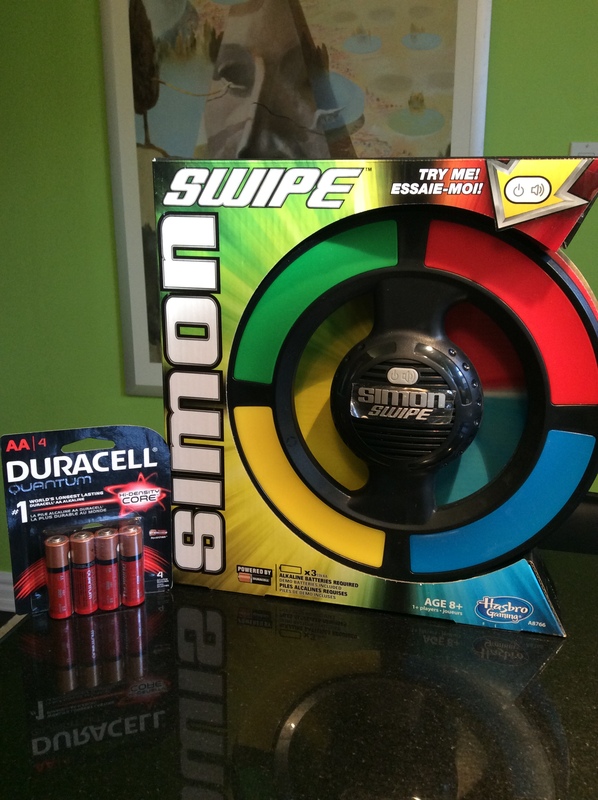 PRIZE: Simon Swipe Game (one of this year’s must have holiday toys) and one Duracell Quantum battery pack to power it.